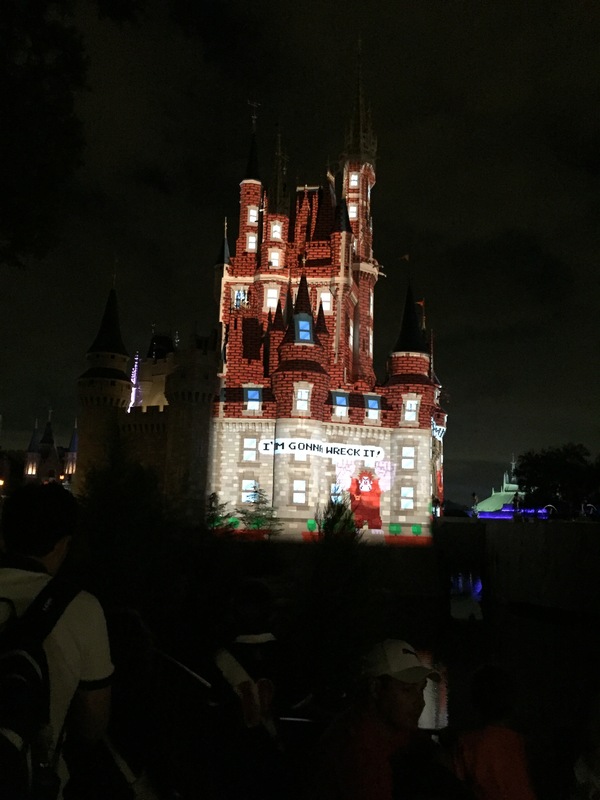 What I Didn't Like About Disney World - Are We There Yet? If you have small children, or even if you don’t, odds are you’re going to eventually end up at Disney World. It’s been written about all over the internet, and covered very well here at Saverocity by Joe, Haley and Dia. If you are planning your first or tenth trip to Disney World, you should read everything they’ve written about the planning process. I did, and we had a great time as a result. Nonetheless, every once in a while I need to come out of blogger hibernation to add something to the conversation, and today my best contribution is going to surround what I did not like about Disney World. We can get this out of the way up front: You should still go to Disney World if you are already inclined to go. You should probably go even if you aren’t inclined to go. I will certainly return, hopefully in a not-too-distant future. My goal is to temper a few expectations, propose some tips on avoiding the pain points, and maybe even be slightly funny about it. If not funny, sarcastic will do. During my (approximately) fifth trip to Disney World, but the first with a child of my own, it finally occurred to me that they’re called cast members because they’re actors. Some of them are even bad actors getting a bit to literal with the script. Before I go too far with this, I should mention that I did not meet a single Cast Member at Disney World who I didn’t find to be a genuinely nice person – security staff excepted. But I’d love to get my hands on the Cast Member script somewhere. It must require that all children are to be referred to “Prince” or “Princess” without deviation – it’s charming at first, and entirely artificial by the end of the first day. And let me be the 1,000,000th person to wish you, at the end of that first day, to “Have a Magical Day!” I shared this in my post-trip survey and I think it’s fair to repeat here, but my recommendation to Disney management would be to loosen up on the cast members a bit and let them just be real people talking to other real people for a bit. It’s great to sprinkle in the Disney bits, and I think that approach would give more authenticity to it than the deluge of Disneyisms you face from arrival to departure. Survival tip: Avoid these words in your own vocabulary. What’s Up With The Burnout? Speaking of those cast members, I did get a sense of unhappiness from many. A lot of folks looked truly tired, and the last week of January is about as slow as it gets in Disney World. Maybe it has to do with maintaining character, or they aren’t paid that well, or whatever else. It’s noticeable, though, and contributes to the somewhat robotic facets of Cast Member interaction. I will give some serious high marks to the Cast Members themselves, though, especially the in-park characters – I never once saw anyone break character, not even for a second, not when the college kids are being obnoxious about taking pictures while Aurora gets out of the rain, or when the little boy with the sword melted down while his mother corralled him to take a picture with Cinderella. I was a little annoyed with my own child wanting to wait in the character lines, only to decide she wouldn’t smile at all in any of the pictures, but Doc McStuffins didn’t care – she made it work! I’m sure there’s a lot to deal with in this line of work, so kudos to the characters for making it happen. Now come on management, do better for them. Survival tip: Be really nice to the characters and other employees. That’s more a tip for their survival than your own, but you’d be surprised how much some folks appreciate a little bit of banter that isn’t directly requiring them to do something for you. Nice goes a long way. As with most of the Disney World hotels, the Beach Club has a market just off the lobby that sells some small meals, essentials, groceries, etc. At this market, a small bag containing approximately 9 grapes costs the same as a whole bundle of Mickey lollipops or a bag of chips – $4.99. Want a banana, apple or orange? That’ll be $1.89 please. Each. We’re captive. We stay at the hotel for $300 a night, spend $400 each on a week of park admission and swipe those Magic Bands for 3 meals a day in the parks and resorts. Come on Disney, give us a break on the things we actually want our kids to eat. I promise that selling me that banana a little over cost won’t put a dent in my Ears and Wands budget. 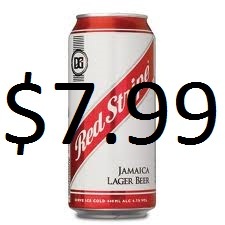 Maybe I’ll even celebrate our arrangement with a $8 pounder of Red Stripe. Survival tip: Uber to the grocery store and get a few things. Most Disney World rooms have refrigerators. Disney World has inexplicably strict security entering the parks. I say it’s inexplicable because it reaches a level of inconsistency that borders upon theatre, much like you’d find in the parks themselves, or at the airport. As you roll the stroller up, you will pull up to a table and a Disney Security Cast Member will go through your bags. What are they looking for? Not sure, nobody would tell me, not if I asked seriously, jokingly, sarcastically, or in any other manner. But they will go through your bags. Some will open the top, peek in, and send you on your way. Others will take everything out, some may help you put it back in. And then some will ask you to disassemble and reassemble, all on your own, while other guests wait in line at the table you cannot vacate. One day we encountered a guard who was determined to have zero verbal interaction, no response from him to “hello,” “good morning,” or any of that nonsense. He decided he was going to inspect the contents of everything inside the bag, including what he thought was my wife’s wallet. “That’s personal.” Continues to open. “Those are tampons. Would you like to unwrap one and I can explain how to use it?” Moments like that make me really proud of my wife. Now the theater part kicks in when I mention that at no point is anyone asked to empty their pockets. Survival tip: You can either pack light or stop caring and have stronger antisocial tendencies than the people opening your bags. I will add that most of them are pleasant and really don’t hold you up too long, but this is about the things I didn’t like, remember? As one person commented to me on the bus, “You can be certain they’ll run these busses in the most efficient way possible.” That efficiency appears to extend to 15-20 minute intervals even at peak park times like opening and closing. The gentleman standing in the aisle next to me holding a sleeping infant can probably attest to that. I wanted to high five him, but he didn’t have a hand free. Survival tip: If you’re not lugging car seats, $20 gets you between almost any two points in Disney World or Downtown Disney Disney Springs in a cab or using Uber. This is especially worth it at closing time when the busses will be packed, doubly so if you have a stroller since there’s no onboard storage for those. We’re still in the car seat years, and if that’ you, the best tip I can offer is that it’s better to be first than last on the bus, even if you have to wait. If it’s almost full and they’re encouraging you to get on, let some people behind you brave that mess and just wait 15 minutes for the next bus where you can get a seat. And if you want to be nice to that aforementioned guy holding the sleeping infant while standing in the aisle, have your kid sit in your lap and offer him a seat. I’m definitely going back. I still had a blast. I’ll follow up with a post on a few things I loved, from which there are many to choose. But it’s raining on top of snow here today, so this post goes up first! Have at it – what drove you nuts about Disney World? Talk about it in the comments or join us in the forum. There’s a reason the “cast members” are so tired. They are working full-time for just above minimum wage, and starting pay is less than enough to support ONE person in Orange County, FL. The contract they signed back in 2014 gives, now, a starting wage of $9.50, which will rise to $10 this summer. For smiling relentlessly, being on their feet all darned day, and the inability to voice their own, probably kind and caring, words. For the same wages, they could snarl at you at the dry cleaners. BTW: in 2014, the last year that’s complete, Disney’s theme parks profited (not grossed–profited) $2.2 B. And the top wages, after 50 years (!) as a Cast Member? Less than $15/hour. Yup. The happiest place on earth, my behind. I’m not exactly shocked by that. I have to be honest, the only folks I encountered willing to have regular conversations about normal things were the J1 visiting workers in the World Showcase, and then pretty much only because we were speaking in their native languages. The thing about Disney World, though, is that they probably don’t mind the staff turnover. No matter how much you pay the front line cast members, the constant acting is going to burn them out. It’s a job for a couple of years before moving on. That said, for as well as the parks are run, they probably deserve a lot more! Yep, and many are under compensated. We need a living wage, but that is another topic. There is no script, but there are rules they must follow. I’m surprised more CMers don’t address you by name. The ones with computer terminals can see your name off the Magic Band. I found that kind of creepy. Hey, at least they have bananas. Seriously though I recommend grocery delivery. There are multiple options, I like Prime Pantry for staples like granola bars and bottled water. There are even a few services that will deliver adult beverages. You can also ship yourself a box ahead of your trip (put your confirmation number and arrival date on the box). I have only ever run into the ‘take everything out of your bag’ search by security at Animal Kingdom. They take extra care to look for things that are allowed in other parks but banned at AK for the animals safety. Next time ask them for stickers or if they have a citation pad. Security guards can be fun sometimes. Nailed it. I feel like people give me a funny look when I tell them to never underestimate the value of taking a taxi. They even have Taxi Vans that seat larger groups. If I find a Taxi driver that is fun I get there phone number and call them directly when I need a ride. On my last trip our taxi driver had an iPad with tons of music on it and let us play whatever we wanted. We loved it. He even waited 15 minutes for us one day when the sky opened up and it poured so we wouldn’t have to wait in line for a taxi! I was addressed by name – the prince/princess thing got a little out of hand, though. Sarcasm aside, I’m sure my daughter loved that, and I think that’s their goal. Some kind of grocery delivery or a trip to the supermarket is definitely happening next time. To be perfectly honest, I stop looking at the price of things once we’ve crossed the border into Disney World. I know it’s all expensive and I’ve budgeted for it. And while everything is expensive, it’s predictably so – I know a higher end sit down dinner is $50-100 per adult. I know every sit down meal beyond that is $50 a piece. And I know that $5 is the smallest unit of currency that Disney recognizes 🙂 I do, however, think that some subset of healthy, non-processed food, should be sold at a lower price simply because we’d mostly agree we want to cram some of that in between the junk food from time to time. Not saying it needs to be supermarket prices, but call it a dollar for a piece of fruit – its still very profitable since it’s part of the cases of it being ordered at the hotel’s restaurants anyway. I watched bags get emptied everywhere except Magic Kingdom in the 8 days we were there. It happened to us at AK, which I expected, but to people in front of us everywhere else. But the smallest items fit in pockets, and it’s not as though they weren’t selling items with bottle caps and small plastic pieces in the park. It truly made no sense. If I could pick one thing I disliked the most, it was this aspect of it. My daughters hate being called princess. So, getting crowns for little princesses, wasn’t exactly what we wanted at checkin. That’s gotta be pretty unusual, though. My wife said it – when we were kids, the princess angle was not the center of focus or that aggressively marketed. It makes sense, but some kids just don’t care for it. My daughter doesn’t dislike it, but she also doesn’t get excited about the princesses, either. Animals (specifically of the cartoon variety, but real ones too) are more her thing. The plaster donkey pulling the cart in the Italy pavilion was one of her favorite things, as was Dino Land in AK. Once I explained that Goofy was actually a dog, she was good with him too. We missed the Lion Guard attractions opening by ONE day. Had no idea that was coming. That’ll be great next trip. She actually discovered the show on the JetBlue IFE on the way down, as Disney Jr is one of the channels. Imagine that! 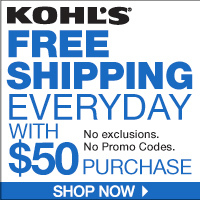 For just a few things (we always at least get water delivered), Staples or Amazon Prime can be nice with free shipping. For larger orders, there are a number of delivery services down there that will deliver to your hotel for about the cost of an uber ride and you won’t have to spend your time shopping. Bell services will even hold the stuff for you in their fridge. I don’t mind the busses too much (and I am a Philadelphian), but I get the frustration. One tip is if you want to grab a taxi from the Magic Kingdom, walk over to the contemporary resort. Otherwise you still have to fight the crowds to take a boat or monorail back to the Ticket and Transportation center. Depending on what time you leave the Magic Kingdom – basically before Epcot closing – you can take the monorail from MK to Epcot and then walk through the park to the Beach/Yacht Club, Boardwalk, Swan and Dolphin. Only if you have a park hopper ticket. Yup. Highly recommended when staying at those hotels though. World showcase for dinner every night! Why would you need a park hopper ticket to monorail from MK to Epcot if you just want to go back to your hotel? You actually enter EPcot? Yup. You walk through from the Epcot main gate through the world showcase to the international gateway entrance/exit. Beach/yacht, Boardwalk, swan and dolphin are all there. You can of course take a bus from mk to your hotel if you don’t have a park hopper. But when staying at one of the above hotels, I like the park hopper because we generally ended up in Epcot each night for dinner after the kids got tired. I like Disney. I’ve been to Disney World, Disneyland, Disney Paris and Disney Hong Kong. It’s OK for a day but I can’t imagine spending a week there. Besides you spend what $4k, $5k, $6k or more to go to an amusement park so you can pretend to be in another place. Why not just pile the kids on a plane and go to Europe or Asia. Wouldn’t cost much if any more. Just my thoughts. Funny you mention the cost versus an international trip. I’m actually working on the numbers for an upcoming post to lay out the costs of our Disney trip versus the Italy trip we took in early December. Without going into the details in this comment, I’ll steal some of my own thunder, Italy was cheaper. Anyway, Disney World to me isn’t an amusement park, it’s somewhere else. You’re not pretending to be in another place because it’s of such high quality that you really don’t have to do much pretending. The disbelief suspends itself, so to speak. Yes, Disney World is 100% manufactured, but it is one of the unique places in the world. I’m not so into resorts, but there really isn’t another place like it and no other resort on the planet that I look forward to returning to as I do Disney World. I’ve nitpicked a few things I don’t like, but on the whole it’s overwhelmingly high quality, clean, safe, immersive. I wouldn’t go there because it’s better or worse than getting on a plane to somewhere in another country – I’d do it because it’s different than those things. By comparison, the Disneyland parks are much less appealing to me. Those, to me, are just very high quality amusement parks. Disney World really is another place. 1. Prices of admission. One time is enough! I am not going there ever to pad Disney’s profit. 2. Long lines. I would rather spend that time at a beach or natural setting than all buildings and concrete. 3. Everything (things, attitude) is looks/smells “FAKE”. 4. Marketing and too Commercial setting. 5. The animals should be in a jungle and free and not in a park.